A few last photos before leaving Florida. The Miami Metromover is a free, automated public transportation system. It carries millions of passengers a day and has been a catalyst for the development of the downtown area (see map below). 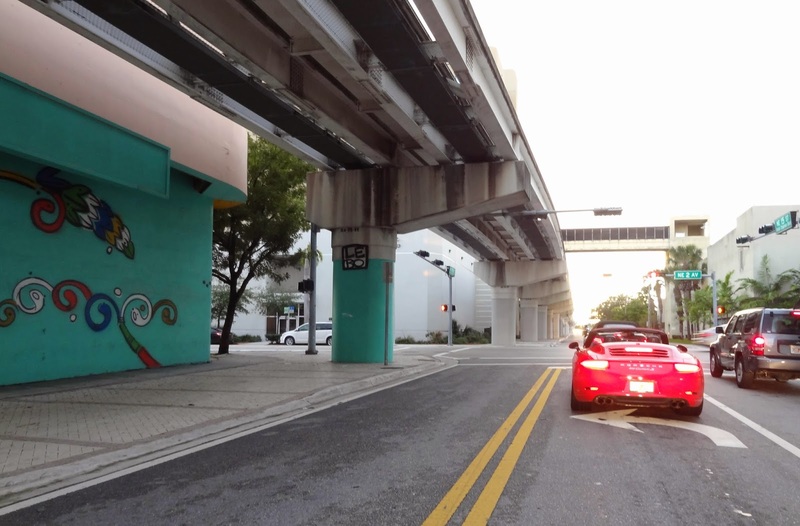 The photos are at the north end of the line by the Adrienne Arsht Center Station (above the elevated tracks). 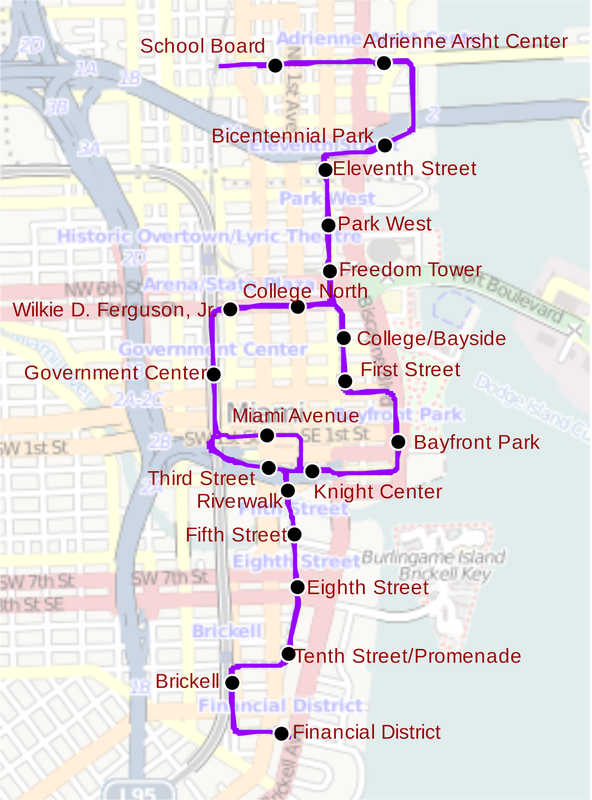 More information about the Metromover can be found at Wikepedia as well as several other websites. 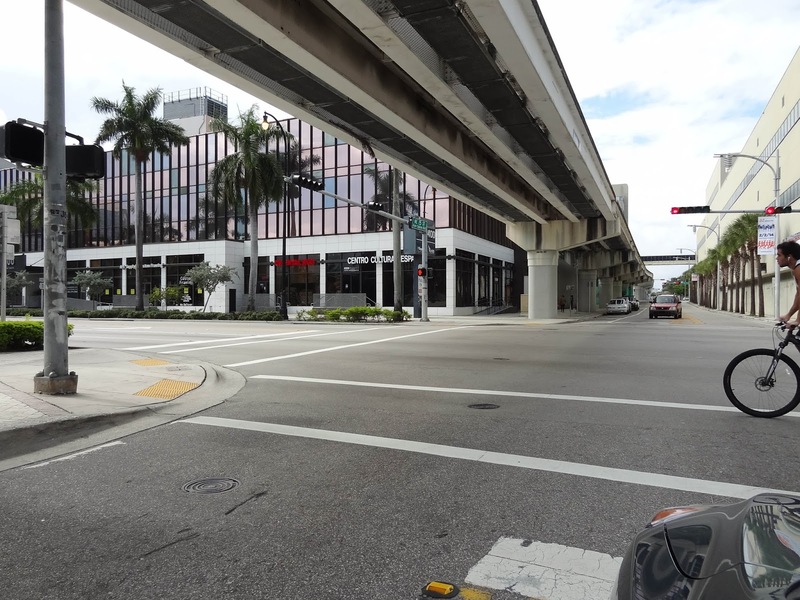 At the north end the Metromover is composed of four continuous steel plate girders supported on 'C' bents. Each pair of girders supports a single rail which carries an electric single or two car train in each direction. The Metromover is a strictly utilitarian system that may not be attractive but provides an essential service to the downtown Miami region. Miami-Dade County, Florida Bridges: Metromover Monorail Line in Downtown Miami by Mark Yashinsky is licensed under a Creative Commons Attribution-NonCommercial-NoDerivatives 4.0 International License.